Set your objective and identify your target audience. Start creating a visually-appealing and information-rich online knowledge platform for your business. You can build it from scratch or use one of our templates to get started. Sign up by filling your details. 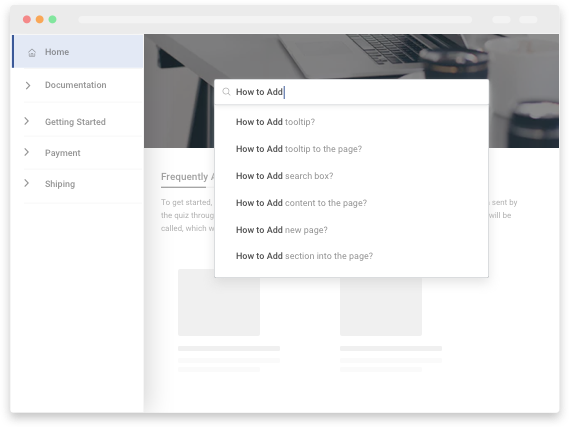 Kick-start the process by placing content effortlessly in the template. Brand it with your logo and color scheme to give a professional appearance to your knowledge base. Package your content beautifully. Easily import word docs, PDFs and more into your knowledge base with a single click. You can also add images and videos to make it interesting and engaging. It’s time to publish it finally. Just a bit of a final touch up and voila, your knowledge base is ready to take off. Create a secure online resource center where employees can easily find and share information. 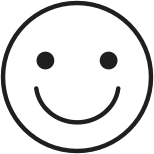 Delight customers and reduce tickets by helping them find answers in a highly-searchable knowledge base. Create online documentation and add videos and images. Offer searchable and mobile-friendly manuals. Studies indicate that most people prefer self-help. Use online knowledge base software by ProProfs to build a searchable knowledge platform. Let your customers access information anytime and from anywhere. Reduce the burden of your support team by up to 80%. Your support team never needs to answer the same question over and over again, because all of the information is easily available online. Create help center and user manuals easily. 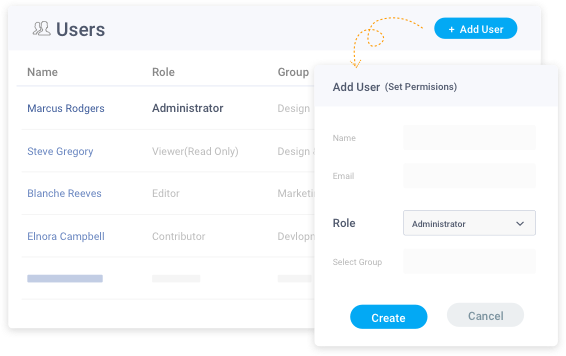 Define roles and permissions for your users and team members and control who can access what in your knowledge base. Keep your knowledge base open to the public or build a private knowledge base. You can even protect certain sections of the knowledge base so they are accessible and editable only for certain users. Bring different teams together to create and share knowledge on a central platform. 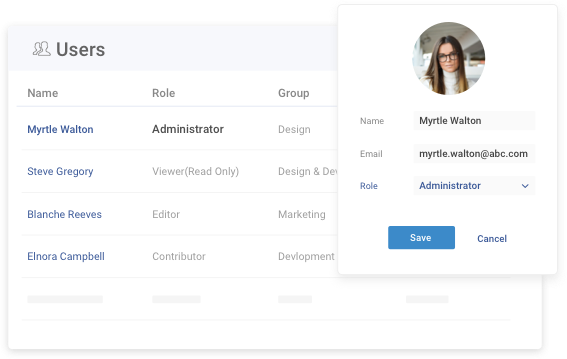 Define roles and permissions for your team members to control who can access what in your knowledge base. Set up advanced authoring features such as conditional logic, workflows and more. Works great with ProProfs Help Desk and your favorite tools. Design beautiful FAQs using branding features and pre-made templates, or customize fully with CSS and HTML. Configure 100+ settings for common tasks like single sign-on, security and more. Integrate with popular tools such as Google Analytics, Wufoo and more. Integrates beautifully with ProProfs Help Desk & ProProfs Chat for a complete support solution. 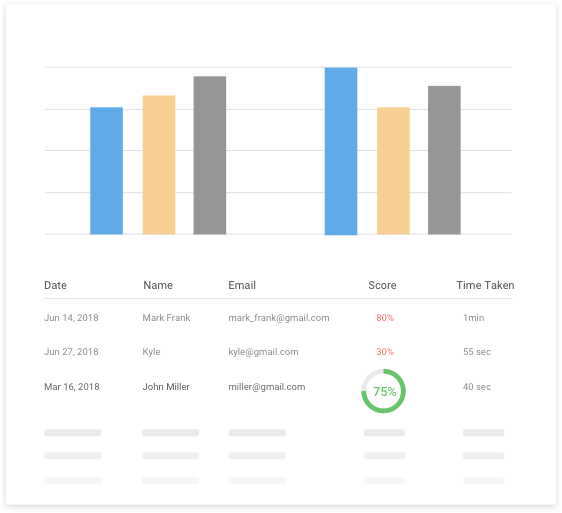 Track performance of your knowledge base, authors and pages. See which articles are most read as well as which ones need improvement. You can even get suggestions on what new content to add. We track and report on all searches and interactions. There is also a Google analytics integration for additional data such as pages per visit, search traffic, bounce rate and hundreds of other metrics. Our knowledge base software is easy to use and backed by awesome support. Call us, chat with us, use our knowledge base or open a ticket and we'll get right back to you! View and access knowledge base on laptops, tablets or smartphones. Customers instantly find answers on your self-service help site. Brand your help site with customized fonts, colors, logos & more. Keep your knowledge base secure with password & privacy controls. Share and retain knowledge through a collaborative knowledge base. Find answers instantly with a highly searchable knowledge base. Centrally access company documents, manuals & more. Learn what users are searching. Integrate with Google Analytics. 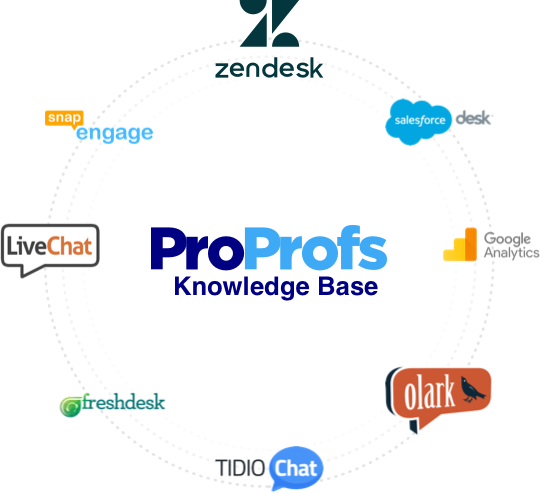 ProProfs Knowledge Base Software integrates seamlessly with popular tools including help desk systems, live chat software, analytics tools and more. This empowers you to offer exceptional customer support by resolving support tickets or tracking customer conversations directly from your knowledge base. You also get to know which articles are performing well with an built-in Google Analytics integration. Guide customers to the correct documentation by communicating with them via chat directly on your ProProfs help site. Answer customer questions in real-time. Get detailed In-Page Analytics and assess which FAQ pages are working and which are not. Track the routes and devices customers are using to find your knowledge base. Empower customers to raise support tickets directly from your ProProfs site. Help support agents to close tickets fasters by finding support documentation with one click. Create a knowledge base and use contextual help tools to create on-site and task-based help. Design, create, publish and maintain help files, manuals and documentation using help authoring software. Collaborate with team members to create public and private wikis. Manage content with advanced authoring options.